Industrial grade carpentry, including metal framing, drop ceiling, cabinetry, floor coatings, and raised floor panels. 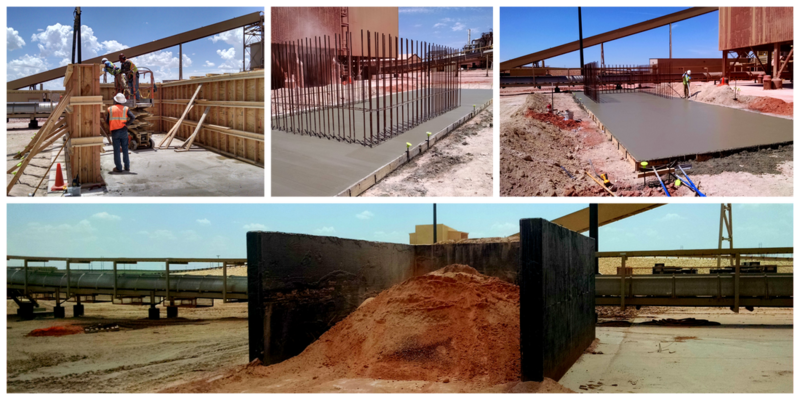 High strength vertical concrete with welded rebar cage integrated into footings and flatwork. Complete electrical system including fire alarm, voice/data communications, lightning protection, power and light systems.